Disinfecting our home naturally is a growing concern, especially when looking to do so in a manner that is deemed to be “green”. 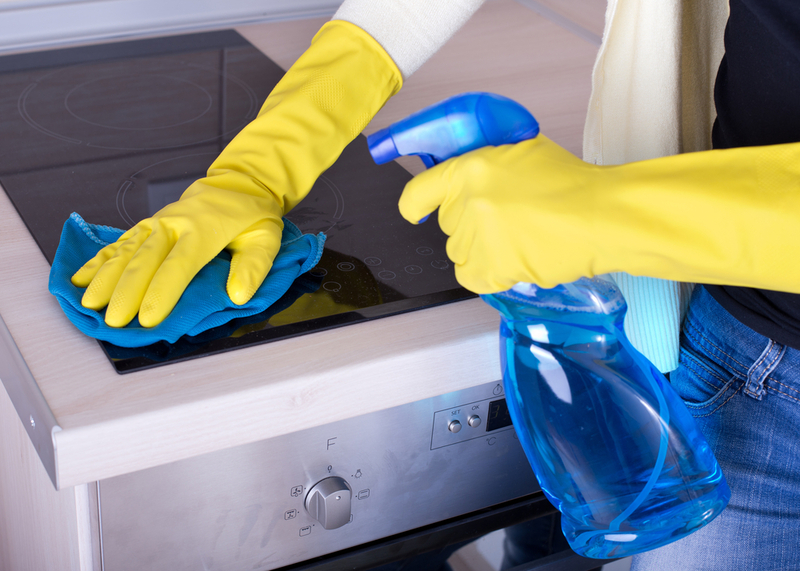 It turns out that natural chemicals can do just as good a job with household cleaning as commercially available items – many of which have proven to contain high levels of toxicity. Common natural items that are used for cleaning include baking soda, borax, olive oil, lemon juice, and vinegar. Not on the list of common cleaning agents is hydrogen peroxide, another naturally occurring substance that is produced by living organisms. In fact, your body produces hydrogen peroxide as waste material derived from the process of metabolism. When exposed to light or heat, hydrogen peroxide releases oxygen, which is actually toxic to micro organisms such as bacteria, and thus hydrogen peroxide is an excellent antiseptic. These antiseptic properties are why hydrogen peroxide is often recommended after sustaining a cut, to reduce the amount of available bacteria around the wound. When combined with vinegar, hydrogen peroxide has an almost 10-fold impact on neutralizing and killing available bacteria. This makes the combination of these two substances extremely potent for attacking bacteria in our homes. Now that we know that the combination of hydrogen peroxide and vinegar is harmless to pets, kids, and the environment, let’s go about creating a system where we can disinfect common areas that tend to accumulate microorganisms. 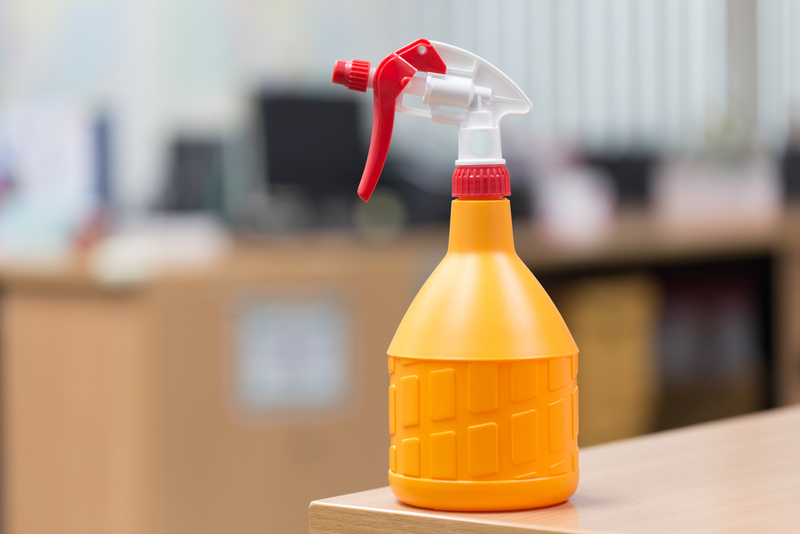 Grab two plastic spray bottles, ideally of different colors, where one is opaque and the other can be translucent. The dark bottle will be for the hydrogen peroxide, which would react if exposed to excessive light. If kept in the same bottle, these two chemicals would react over time. It is a good idea to purchase a dark bottle of consumer strength hydrogen peroxide (3%) and fill it every so often, making sure to store it in a cool dry place. As for the vinegar, a one gallon jug of white vinegar will do the trick. 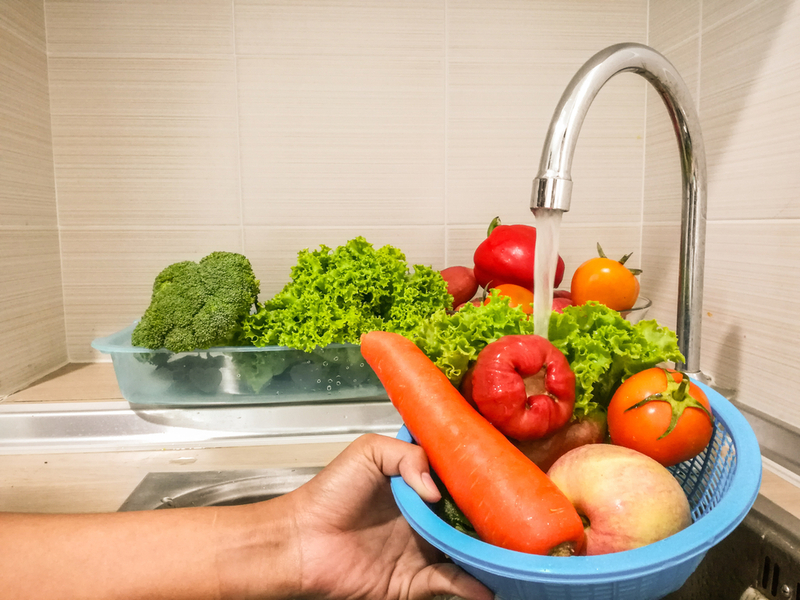 For disinfecting raw foods, you can start by hand washing your fruits and vegetables with water. Next, spray them down with vinegar, and follow that with a quick spray of hydrogen peroxide. For meats, save for the rinsing with water, the same combination of a quick spray of vinegar followed by a dousing of hydrogen peroxide will suffice. With processed foods, you may want to start by spraying down packaging before you even open them. One great use of this disinfecting system comes in handy when you clean the sink. First, wash the sink with dish washing liquid and a dishcloth, and then ring out the washcloth. Next, apply the combination of vinegar and hydrogen peroxide to common areas such as door knobs, countertops, stove tops, and other common surfaces. This system can also be used to clean stains of natural material such as bamboo pillow. The only areas to make sure to avoid are marble, lime, and dolomite countertops, because acid dissolves these items. They can be cleaned with regular water and dish soap.